What Should I Expect When We Worship Together? We meet every Sunday from September – May at 10:00 am in our beautiful sanctuary. During the summer months we meet in our smaller Chapel. Both worship spaces are temperature controlled thanks to our Geo Thermal system. We have two entrances to the church. The main entrance is accessed from our parking lot and is also our handicap accessible entrance. Once in the building, follow the carpet and go down the hall on your left. This will lead you to Ingalls Tower at the front of our sanctuary where you will be met by our Greeters. Our other entrance is grander and is off of Boston Post Road. This entrance will bring you in to a large vestibule which takes you directly in to the rear of the sanctuary. Seating is not arranged in any manner, please make yourself comfortable in any pew. Take some time to fill out the Friendship register so that during the passing of the peace, we can greet you by name. 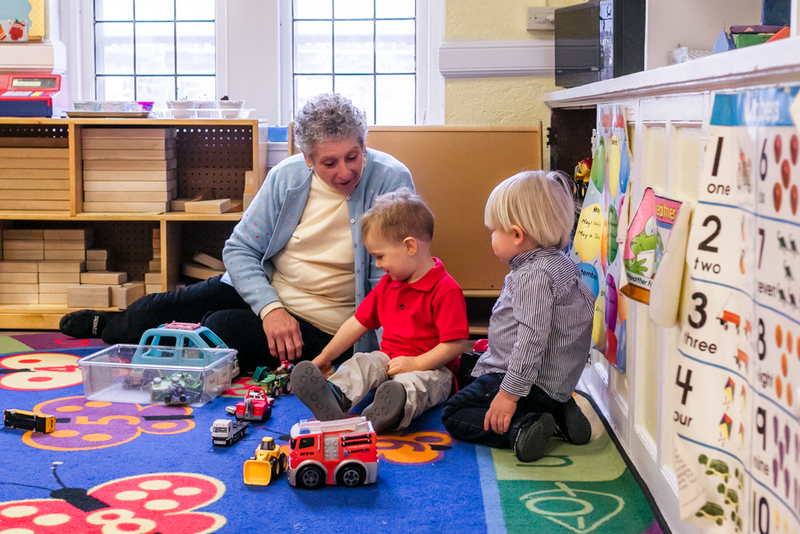 If you need help with locating the Childcare rooms, please ask a Greeter, Usher, or Church member to assist you. View our location on a map. We are a community more interested in worshipping together, than in worrying about what clothing we are worshipping in. Older members still wear suits and dresses while our youth may participate in jeans and T-Shirts. Please wear what feels right and appropriate for you. We are a reformed Presbyterian church and our service will consist of a Sermon, Scripture Readings, Hymns, the Prayer of Confession and Assurance, the Gloria Patria, Apostle’s Creed, and the traditional “old 100th ” Doxology after our offering. Service is usually 1 hour. Communion Sunday is the first Sunday of every month. We practice an “open table” where all who are open to the Christian faith are welcome. Communion is served to you in the pews by our Pastors, Elders and Deacons. We use Gluten free bread during communion. Childcare is offered for children under the age of 5. All school aged Children join the adults in the sanctuary at the start of the service and head to Sunday School after the “Children’s Chat”. Please ask an usher should you require directions. After the service, we hope you will join us in shared conversations, snacks, and coffee, and experience the warmth and friendship that is central to the life of Huguenot. How Do I Become a Member or Transfer My Membership? Have you been attending services for months or maybe years but have never joined? Have you just started to attend services but know it is the church for you? Have you been worshipping at another PCUSA church but feel at home at Huguenot?